We are living in wondrous times, and the invitation is to expand into a bigger picture — and allow yourself to have a multi-dimensional experience of the world and your place in it. 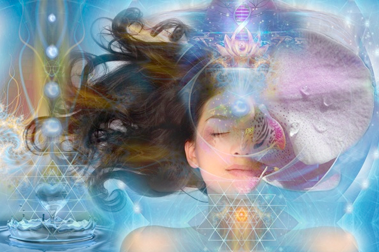 Your full presence is crucial, especially as you awaken to your Higher Self and All that you truly are — a beautiful Spirit, so much more than the personality you identify with in the 3D world. Now more than ever you need to be at your best — with full access to your gifts, strengths and talents so you can live happily and share them with the world. You need a clear direction and a way of operating that is loving, joyful, aligned and productive. Stress and struggle are not part of this new Awakened way of Being. live empowered with comfort, care and connection — then read on. This just may be for you! Are you ready to receive quality care / guidance that will restore your mind, body and spirit so that you can move forward in an inspired, relaxed, confident, aligned way? 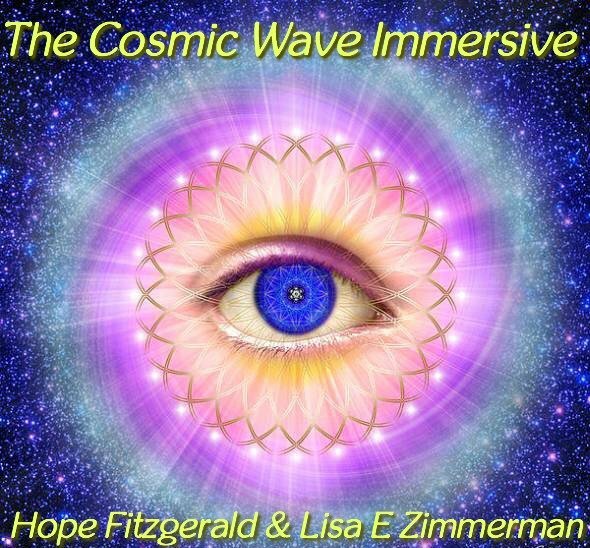 Join Intuitive Healer/Spiritual Teacher, Hope Fitzgerald, and Intuitive Astrologer/Transformational Coach, Lisa E Zimmerman, for an experiential 3-day gathering designed to expand your awareness and activate personal empowerment via working in Higher Dimensions. Hope is the creator of and vessel through which The Infinity Wave was delivered — a series of channeled teachings and practices that are profoundly powerful, life-changing, and effective for creating flow with ease and grace. The practices you learn will awaken your heart through Divine Awareness and will allow you to recognize and trust in your own intuition and truth. You will experience your natural birthright to heal and create your world from a place of caring, compassion and kindness. 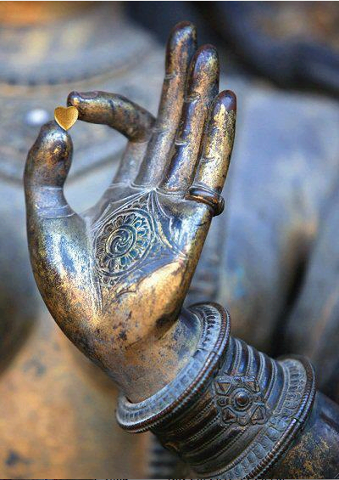 Our safe and sacred space will allow feelings to surface and consciousness to evolve. You can expect a personal feeling within our small, intimate group. 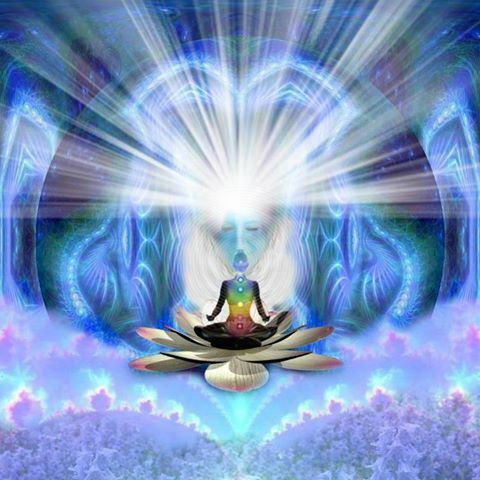 Authentic empowerment into enlightenment is the flowering of the experience. • Lunch and healthy snacks will be provided, as well as love, care and comfort. 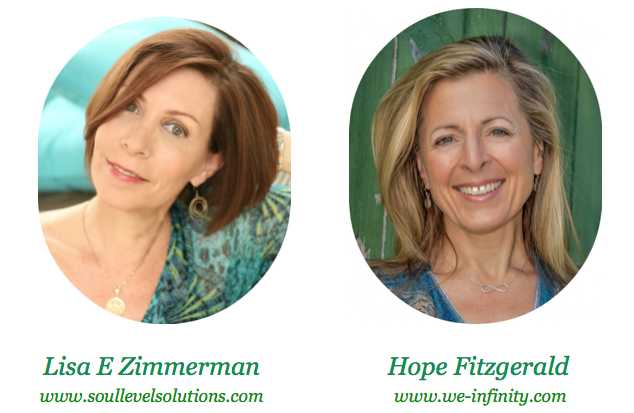 • 4 follow up coaching sessions — 2 Intuitive Dowsing sessions w/ Hope and 2 Astro-Coaching sessions w/ Lisa. You will be well taken care of — and a change of consciousness is guaranteed! Email Lisa here to make arrangements — or if you’d like more information.